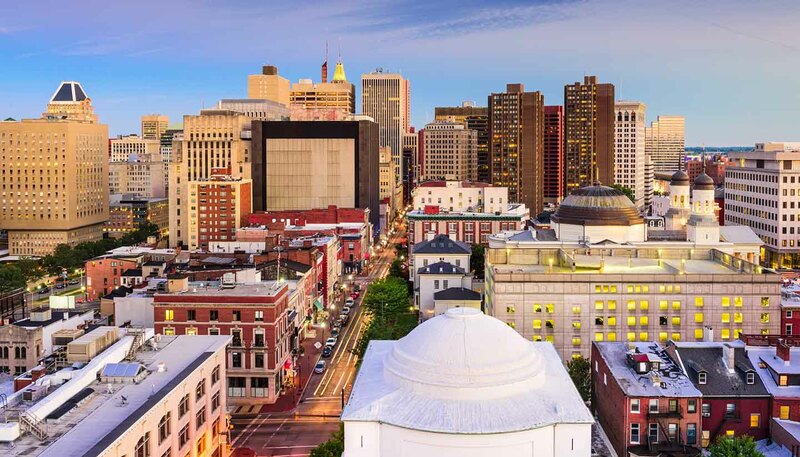 Baltimore's nightlife is as diverse as any comparable US city, with a good mix of Irish bars, neighbourhood brewpubs, boot-stomping live-music venues and lively clubs. For the most accessible tourist options, Inner Harbor, Little Italy, Fells Point, Canton, Federal Hill and Mount Vernon are the areas to head for. Dress code and admission are specific to the venue but photo ID is necessary, as the minimum drinking age is 21 years. Most bars and nightclubs are open 1100 to 0200. Publications providing nightlife listings and information include the daily Baltimore Sun (www.baltimoresun.com/entertainment), the Baltimore City Paper (www.citypaper.com) and Baltimore Magazine (www.baltimoremagazine.net/events). For tickets, try Ticketmaster (tel: +1 410 547 7328; www.ticketmaster.com) or the Baltimore Visitor Center, 401 Light Street (tel: +1 877 225 8466; www.baltimore.org). Locals and visitors mingle in this family-run brewery housed in a former firehouse. Specialising in craft beer and farm-to-table dining, the bar pours an inventive line-up of ales such as New Belgium Heavy Watermelon and dishes up high-end pub grub including Maryland crab soup and oyster po'boys. Telephone: +1 410 659 4084. A long-standing Baltimore favourite, this old-school pub sits on the cobbled waterfront in the historic neighbourhood of Fell's Point. There's a choice of more than two dozen international draught beers, and you can tap your toes to live music seven nights a week. Telephone: +1 410 276 9866. Tucked in a basement in the artsy Mount Vernon neighbourhood, this tiny bar packs a punch when it comes to cocktails. Whether you order the Motorcycle Diaries (rum, Byrrh, cucumber and lime) or brave a Miriam No 2 (tequila, vermouth and Cynar), be sure to soak up the booze with Chesapeake dumplings or Korean hot wings. Telephone: +1 410 609 3163. Live musicians belting out rock, pop and hip-hop tunes draw partygoers to the dancefloor here. It's a mix of piano bar and nightclub, with drinks aplenty and crowd-pleasing hits that typically have the audience dancing, singing and swinging their arms in the air in no time. Telephone: +1 410 783 5111. Smart lounge seating, DJs spinning chart hits and an extensive Champagne and vodka menu draw a well-dressed crowd to this large upscale club. There's an outdoor seating area for cooling off and VIP tables if you're on a special night out. Telephone: +1 443 468 5308. Local and visiting bands play regularly at this lively spot near Penn Station. You can expect to hear anything from reggae to hip hop to house. Come on a Friday for 1980s dance party night or on the first Sunday of the month for Drag-A-Mania, a drag queen contest. Telephone: +1 410 528 0174. Ottobar features smaller-scale bands ranging from indie rock to hip hop and folk. Head downstairs to the snug basement, which has an intimate stage area and a surprisingly spacious dance floor area. If you're not really digging the band that's on, you can retreat upstairs to the ground floor bar for a couple of drinks before the next set. Telephone: +1 410 662 0069. Downtown, the Rams Head is a major nightspot, accommodating up to 1,600 people, offering great seafood and several sleek bars with daily drink specials. It's mainly a rock venue, with medium-sized touring bands and no small number of tribute acts (Journey, Led Zeppelin) that you can let your hair down to. Telephone: +1 410 244 1131. The 8x10 hosts up-and-coming local talent. It's been a city fixture since the early 1980s, and the stomping ground for many local bands that went onto bigger and better things. You can buy flash drives of the very show you just watched should you be so impressed. Beer and cocktails are discounted early in the evening. Telephone: +1 410 625 2000.